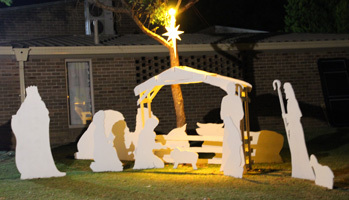 Marist Laity Australia co-ordinator, Andrew Dumas, sends the December issue of the MLA newsletter. Thank you, Andrew! 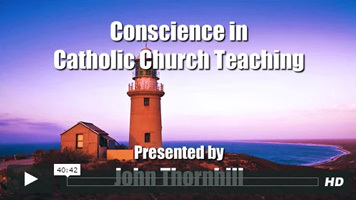 Marist theologian, Fr John Thornhill's, popular 'Emmaus Series' web site is available now with new links to video presentations on questions Catholics ask. 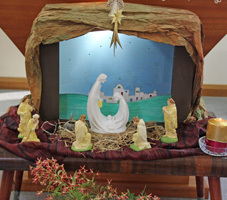 The improved web site includes easily accessed weekly reflections on the current liturgical cycle. Click here. 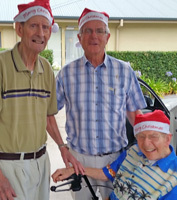 Principal carer for Sydney-based retired Marists, Fr Paul Mahony, sends these images of smiling senior Santas, Frs Keith Shepherd and John Hill, residents at St Catherine's facility, Eastwood, NSW. 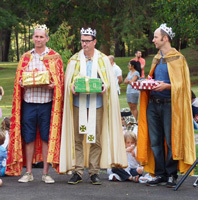 Frs Keith and John regularly join the Montbel retirement community, Hunters Hill, for Sunday Mass and lunch... as they did for recent Christmas festivities. 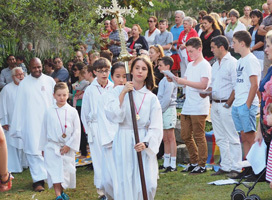 Once again the popular outdoors Vigil Mass for Christmas attracted hundreds of parishioners to the grounds of Villa Maria monastery, Hunters Hill, on Dec 24. 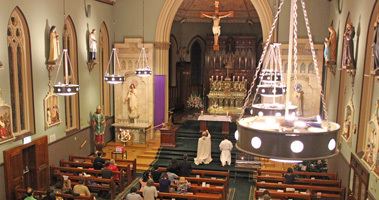 Frs Kevin Bates and Willy Melteras were attended by angels, animals, kings and choirs in addition to a diminutive Holy Family and throngs of prayerful parishioners. 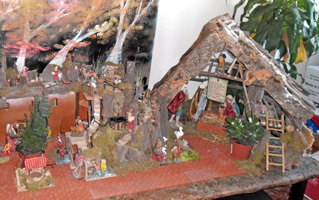 Christmas cribs, mostly from the Marist world, near and far.... which is which? 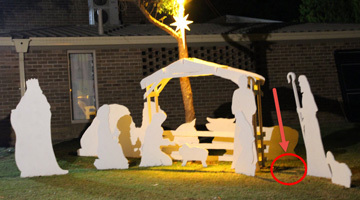 A crime scene has been set up near the Villa Maria parish centre, Hunters Hill, NSW, as forensic Marists investigate the overnight disappearance of a sheep from the parish Christmas crib. 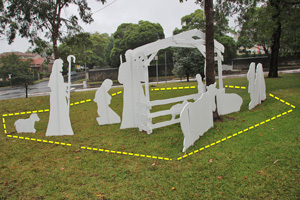 Brain-child of veteran missionary, Fr Sid Nugent SM, the crib was constructed last year and recently re-erected in the grassy area near the Mary St roundabout. 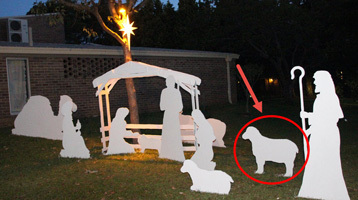 Above, left: Last year's crib and the now-missing sheep. 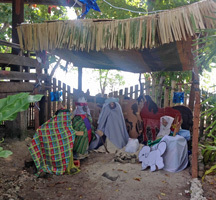 Right: This year's crib, and where the lost sheep ought to be. 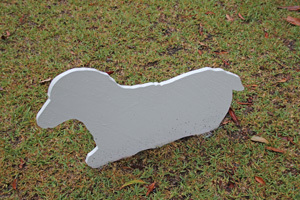 Below: Lamb belonging to the lost sheep /... showing steel dropper supports. 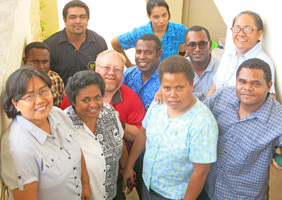 Fr Tony continues: 'This year there were 18 candidates from all over the Pacific: Fiji, Vanuatu, Tonga, Samoa, Solomon Islands, Kiribati, the Philippines and PNG: 11 women and 7 men from six different congregations. 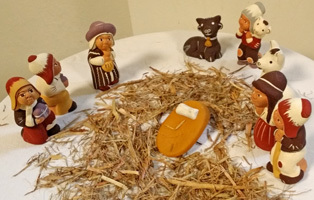 There were ten Marists: five SM men, one SM sister and four SMSM’s.' Below: Fr Tony with Hesed's Marist candidates. 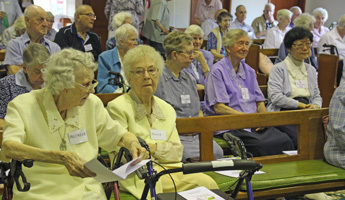 From Rome, Australian Sr Vivienne Goldstein SM reports on the international reconfiguration of the Marist Sisters. Superior-General, Fr John Hannan's, letter to Major Superiors and Provincial and District Councils of the Society of Mary. 'We had a very beautiful and joyful celebration for Nov 22 . 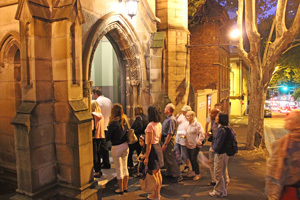 A first-ever Christmas carol walk from St Mary's cathedral, Sydney, to St Patrick's, Church Hill, on the evening of Dec 12 was hailed a heartening success. Ninety people began the walk after prayers led by Fr Garry Reynolds SM and finishing with more carols, exposition, Reconciliation and Benediction at St Patrick's. 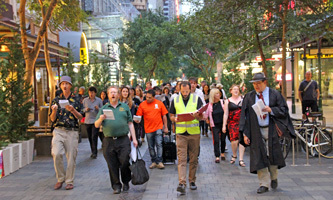 Hundreds of Sydneysiders and tourists joined in the carols as the group wended its way through Hyde Park, the Westfield Mall, Martin Place and George St. Above, left: In the Westfield (Pitt St) Mall / at Martin Place's Christmas tree. 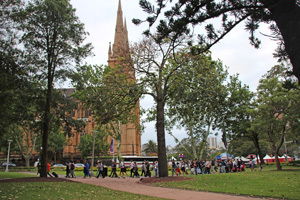 Right: Entering St Patrick's church, Grosvenor St / leaving Martin Place. Below: Benediction at St Patrick's / Carols led by choristers from several singing groups. 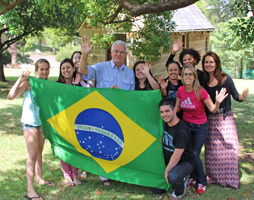 Led by Portuguese-speaking, Fr Paul Mahony SM, members of Sydney's Brazilian Catholic community spent a day of reflection in the picturesque setting of Villa Maria monastery on Dec 12. 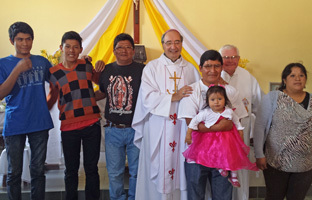 Fr Paul's lengthy experience as a Marist missionary in Brazil continues to bear fruit in a ministry to Brazilian Catholics in Sydney, Brisbane and Rockhampton, Qld. 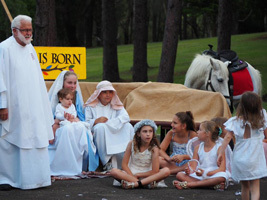 Religious of four congregations in the Hunters Hill area came together on Dec 08 to mark the end of the Year of Consecrated Life and to begin the Year of Mercy in a ceremony led by local Dean, Fr Paul Monkerud. 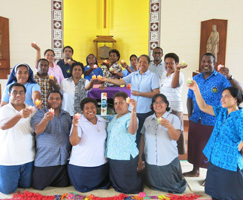 Gathering in the chapel of St Joseph's Hostel were sisters, brothers and priests from the Josephite and Marist orders. Organising team member, Fr Paul Mahony SM, estimated the combined years of service of local religious at 7,346 years! 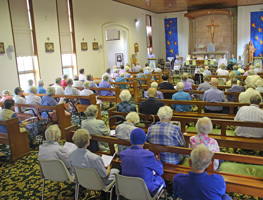 Above: Seventy-five religious gather at St Joseph's Hostel chapel as one year ends and another begins. 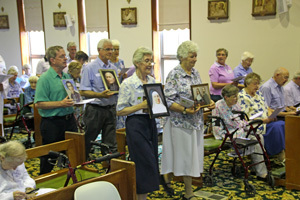 Below: Community leaders carry images of their founders in procession / Fr Paul Monkerud presides as Fr Paul Mahony SM offers a welcome with Sr June Madden RSJ, Br Anthony Robinson FMS and Sr Julie Brand SM. 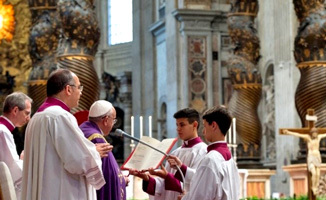 | Parish priest, Fr Kevin Bates, provides music for the gathered religious. | Religious from four congregations in chapel /... and partying afterwards. 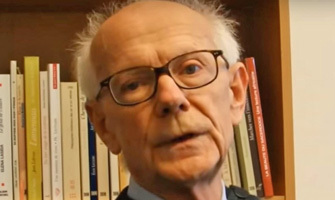 French Marist and author, Fr François Drouilly SM's, short YouTube reflection highlights the place of mercy in the teaching of Marist Founder, Jean-Claude Colin, and in the role of the Blessed Virgin in the Church. It is the first of a series, 'Dialogues on Mercy', being prepared for this holy year. 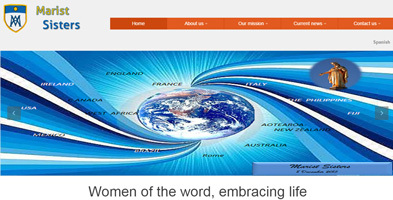 English and Spanish sub-texts. On Dec 08 the Year of Mercy, declared by Pope Francis, begins. Click here for the text of the Formal Announcement of the Year of Mercy and here for Pope Francis' recent letter. 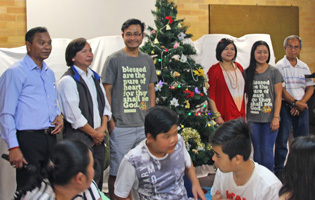 At their pre-Christmas gathering on Dec 06 members of the Australian Myanmar Catholic Community included young adults in their new leadership team. 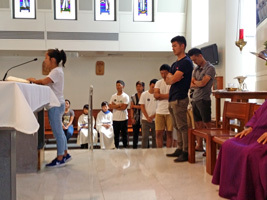 Elections took place after Mass at Our Lady of the Rosary church, Fairfield, NSW, during which eleven youth spoke of their experience of the Adelaide Catholic Youth Festival, Dec 03-05. 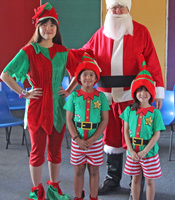 Early Christmas gifts for the children were distributed by Santa and his Burmese elves. Marists continue to minister to Burmese, including refugees and asylum seekers, in Thailand and Australia. 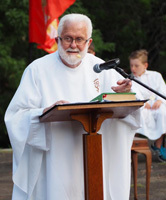 The dinner address given by Fr Peter McMurrich SM commemorating the 150th anniversary of Villa Maria monastery has been published in the Society of Mary's international journal, 'Forum Novum'. 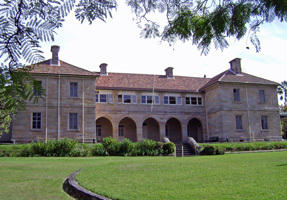 Click here to enjoy Fr Peter's informative and entertaining piece on the historic Hunters Hill building. 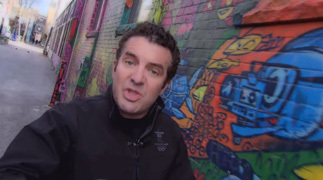 Canadian TV presenter, Rick Mercer's, two-minute rant on his country's record of facing refugee crises over the years resonates soberly with Australia's experience. Insert 'Australia' whenever he mentions 'Canada' and see for yourself. 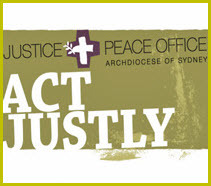 From Sydney's Catholic archdiocese Justice & Peace office, the November issue of 'Act Justly' is now available.